At Manhattan Christian School, we recognize that God has given each student different gifts and learning styles. With these differences, there can be struggles in learning. Some students benefit from supports beyond the interventions and support offered in the general classroom. The Resource Room partners with all educators in the school to create a program where each student can be successful, discover their strengths, and challenge their weaknesses. 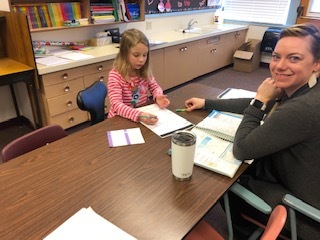 The Resource Room staff works to meet the needs of our students through one-on-one instruction, small-group teaching, and general education team teaching.